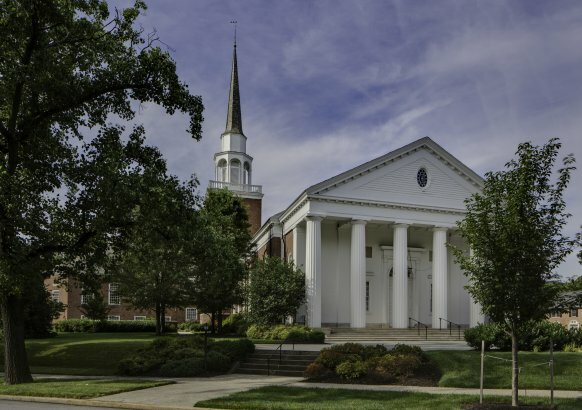 With acoustical dead spots in the sanctuary of the Second Presbyterian Church, the congregation elected to fund a refurbishment of the structure, originally built in 1929. For more than a year, services were held in an adjoining hall while the sanctuary was filled with a dance floor scaffold. 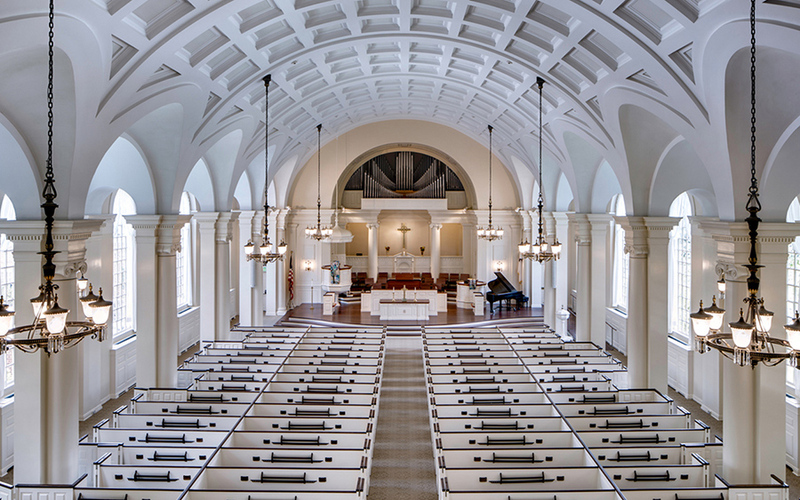 Working closely with Lewis Contractors, Leonard A. Kraus Company constructed and installed Glass Fiber Reinforced Gypsum coffered ceiling panels with custom acoustical plaster material, in a barrel design in the church's main sanctuary. 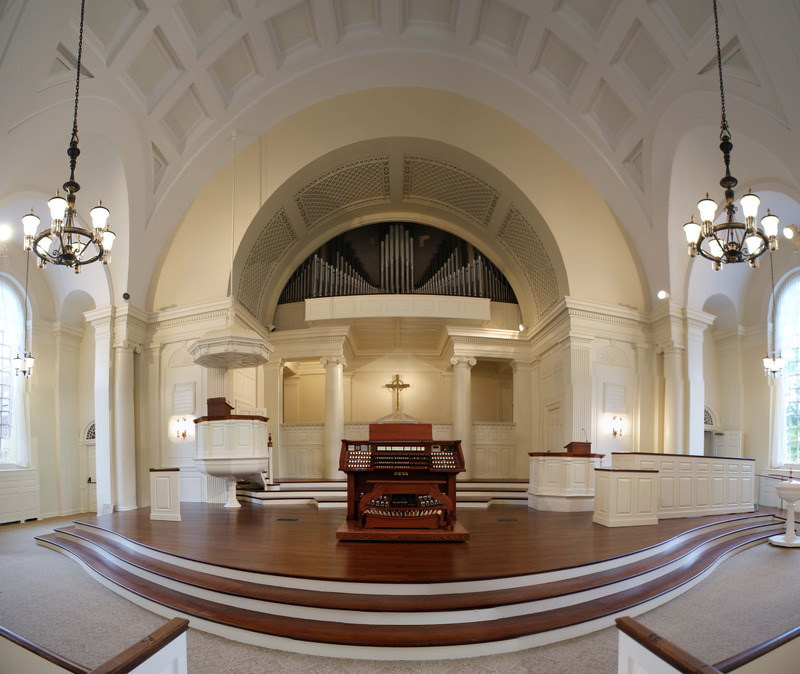 As a member of the congregation described, "the star of the day is its new ceiling, a coffered arrangement of plaster components that have been tweaked and fine-tuned acoustically." The Leonard A. Kraus Company won a 2012 Craftsmanship Award from the Building Congress and Exchange, along with an Award of Excellence from the Associated Builders and Contractors of Baltimore. "When it was finished, it was just breathtaking."